The Starlight collection embodies Parisian chic, elevating daytime separates in gold-spun cloth. Metallic threads pop against crushed linens and breezy cottons, as designer Juliette injects a touch of the party spirit into casual chic sun dresses, ruffle-sleeved tops, lace-accented jumpsuits, and short sets across a palette of khaki, grey, pink, and wearable cream hues. Starlight is Juliette’s wink to her favourite party song from French electro group, The Supermen Lovers and their 2001 hit. The Birds, a mini-collection of exuberant tropical prints showcases the work of Milan-based illustrator, Paulina Slebodzinska. Evocative of lush, hummingbird-filled gardens spanning the Canaries and the Caribbean, the exclusive artworks are printed on matte silk crepe and come in two colourways: midnight blue and off-white. Pieces are lightweight and include Juliette’s signature jumpsuit in a strapless version for the first time ever, a bomber jacket that can be paired with matching short skirt or cigarette pant, and long or short sleeved shirts in fluid lines. Only 20 pieces of each design were created for this special collection. April, a 3-piece collection, centres around a gold medallion engraved in a floral motif first seen in Juliette’s free-spirited India Song collection. For the very first time, each outfit from Capsule Collection by Juliette can be styled with timeless 24 carat gold-plated jewellery. 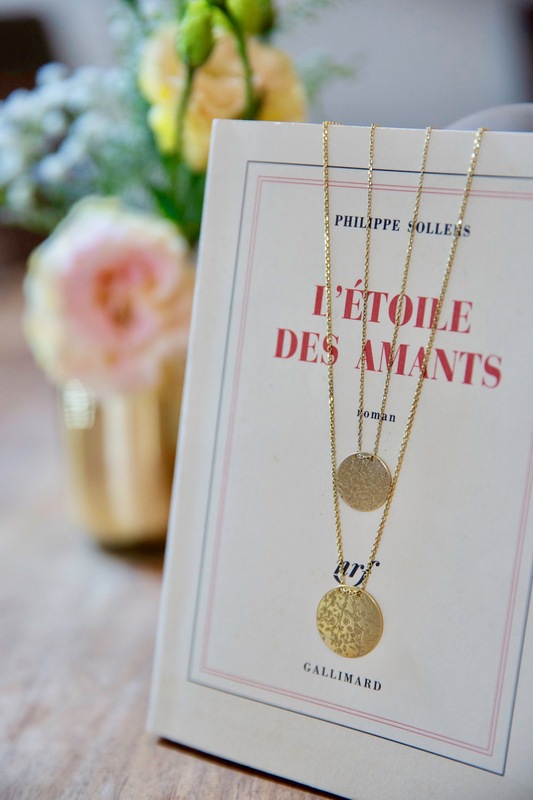 Reflecting her background in high jewellery, Juliette draws on the savoir-faire of a renowned Parisian jewellery artisan to create her inaugural accessories line. 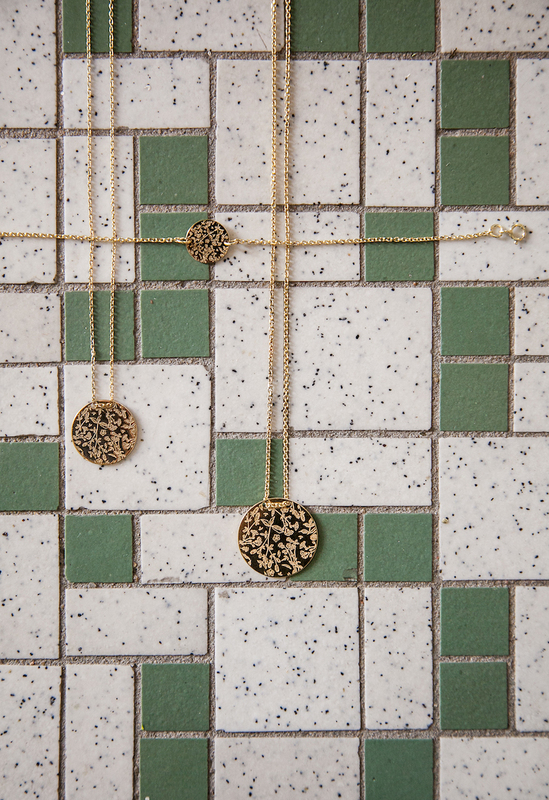 April is available in a bracelet, short necklace, and longer pendant necklace.